Reclosable plastic handy drill bit holder with 20 holes for 1/8" shank tungsten carbide bits or router bits (no bits included). 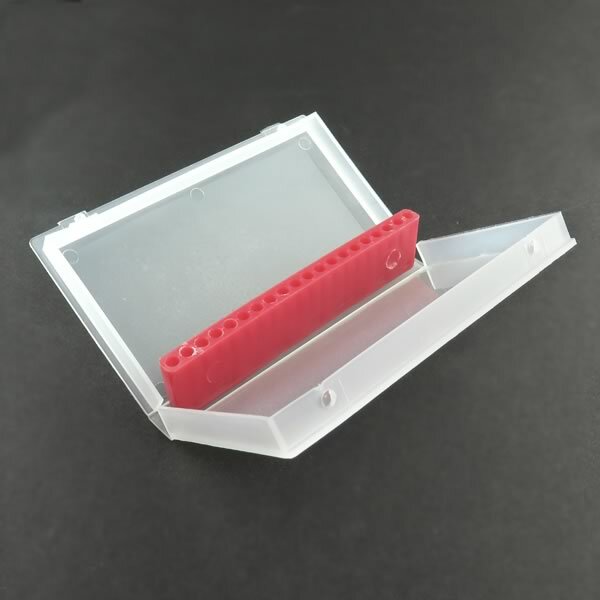 This is very handy to use on your workbench or to keep bits organized in your tool kit. Size 3.9" x 2.26" x 0.40" thick. New - Sold in a package of 2.